Off-road and on-road cycling tours designed by an Olympic athlete taking you to spectacular spots. An amazing way to discover Ibiza's incredible beauty is by bike. Tracks de Ibiza have created off-road and on-road routes around the island for cycling enthusiasts to do just that. All routes have been created by an Olympic athlete and are available all year round. This route can be completed over either three or four days to suit seasoned cyclists, new-to-cycling enthusiasts and people who want to go at a gentler pace. Simply advise your level of experience and fitness level when booking if you are unsure. For lovers of road cycling tours, a special around-the-island route has been created that takes in some of the most emblematic locations on Ibiza. The route can be done in two to four stages, dependent on the needs of each participant. For those who prefer a walking tour of the island, the great news is that you can complete the Mountain bike/BTT route on foot. This allows you take in the pretty scenery along the way like dramatic cliffs and special coves. or GPS device hire, personal guides and accommodation. You can also benefit from luggage transport to where you are staying along the routes. Travel insurance is also offered. 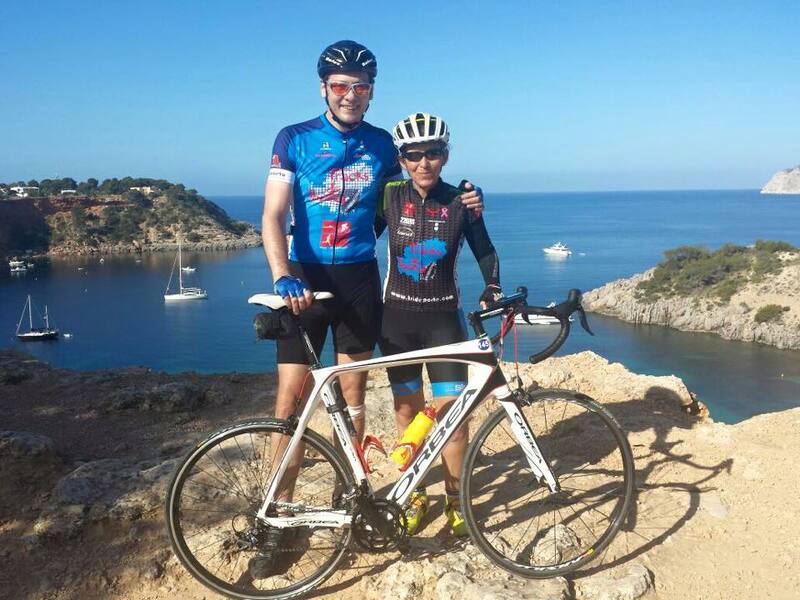 Fátima Blázquez, the founder of Tracks de Ibiza has a wealth of experience of competitive road cycling and has used this to inform the design of all the routes the company offers. She represented Spain in the 1996 and 2000 Summer Olympics, both times in the Women's Road Race. * Tracks de Ibiza speak: Spanish, English, Catalan and Italian.